There’s nothing quite like seeing a plan come to fruition. Way back at quilt camp in 2015, I spent the weekend getting most of the blocks of my 2012 block-of-the-month quilt. 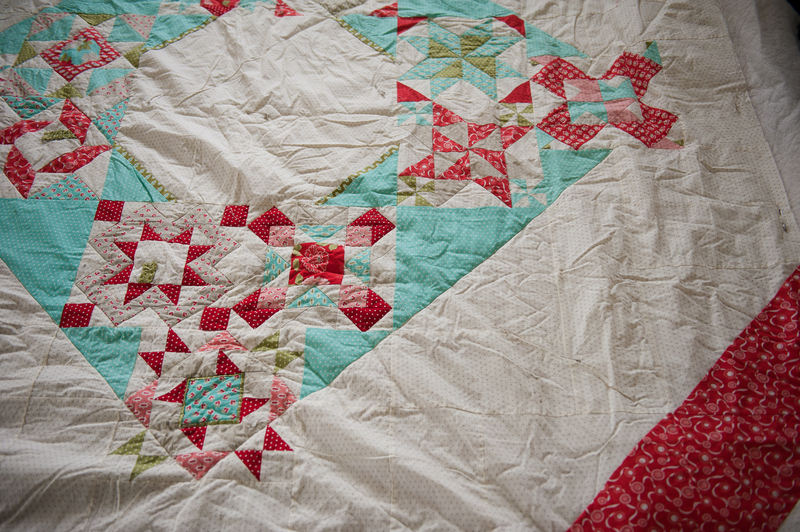 The way home saw my layout plan considered, revised, and decided…then I got home, laid it out, and my single quilt as per the kit suddenly blossomed into a queen size. Christmas 2015 saw the arrival of a delightful new sewing machine, one I’d been eyeing off for quite some time, and I was able to sandwich and start quilting…except the fancy basting technique with pieces of timber I found on pinterest didn’t work all that great, and the quilting puckered and needed to be unpicked. I took it with my to quilt camp 2016, and started, but ended up frustrated and put it aside. This year, I am keeping it simple. I’m aiming to get it unpicked and rebasted at camp. 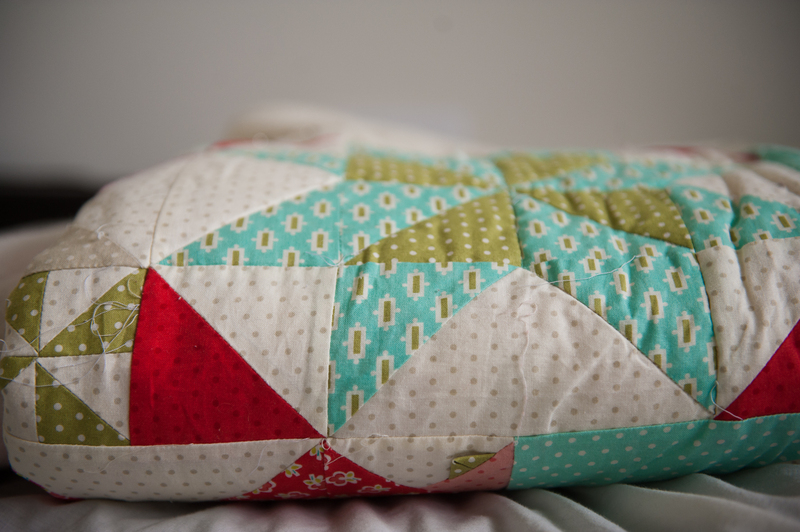 Possibly the middle quilted as well. But with it’s companion also on my “to quilt” list, and the 7000 other projects I’ve added to my packing list, I’m trying to keep my goals somewhat realistic. 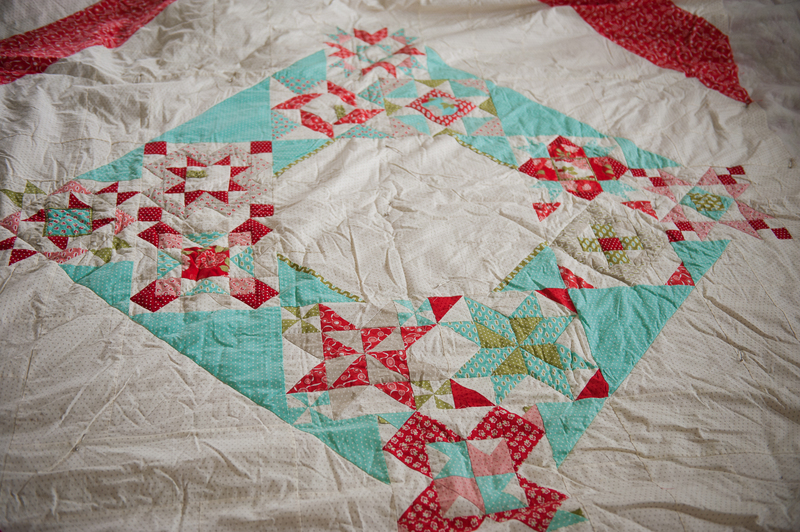 I am thrilled with how this quilt top came together, and much prefer it to the original red-heavy design. Now, just to find the unpicker…. and looking at these photos, possibly an iron!